Built in 4mm to the foot, Tetbury Goods Shed never knew abuse like it ! 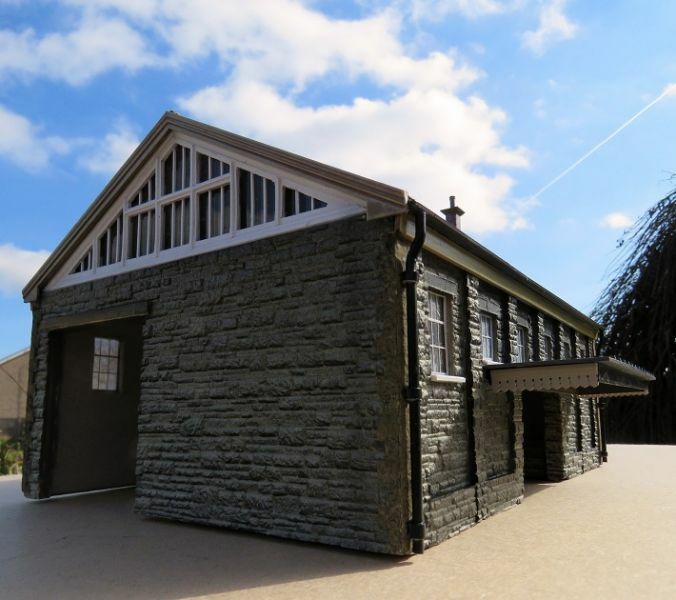 As you will notice there's two size sheds here, a much shortened version ( Tetbury shed was massive, even in this scale ) and a full scaled up version stands at 14inches end to end and 7 inches wide not including canopy. 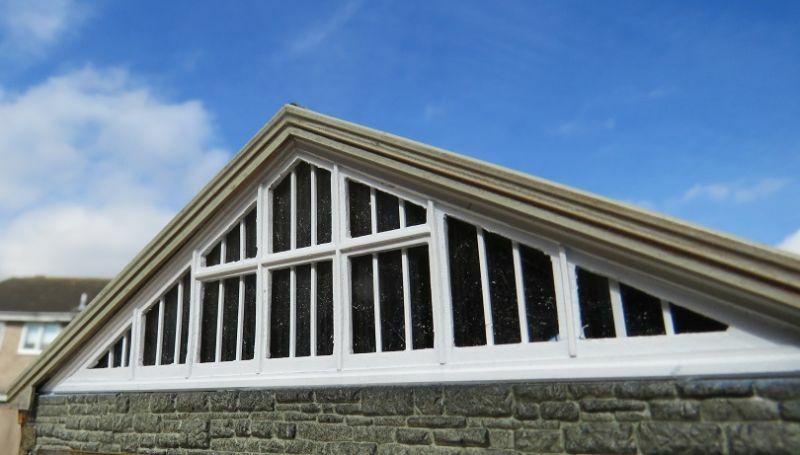 Both were built entirely out of Wills Coarse Stone, SSMP200, backed with 2mm industrial card - these buildings ain't goin' nowhere ! So, here's a few pics. 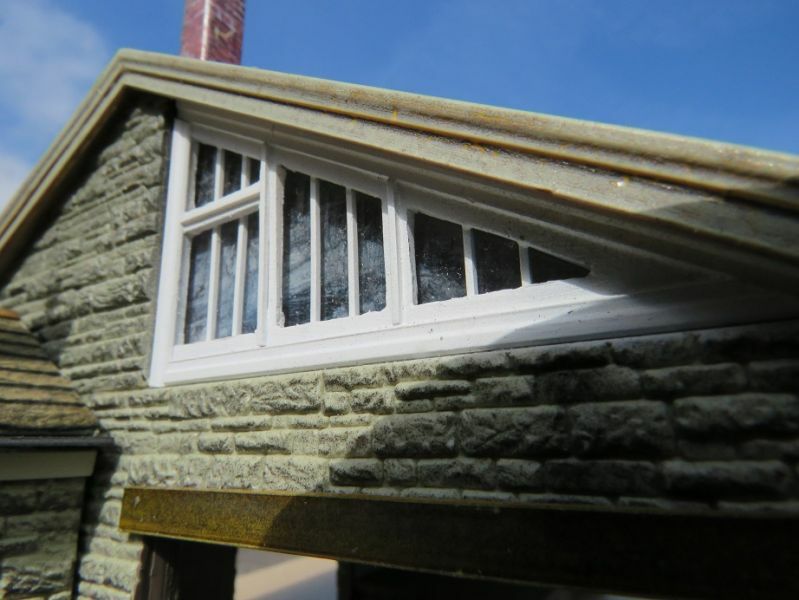 If not for the gap at the base, you'd be hard pressed to see the shed as a model. Excellent work as usual. 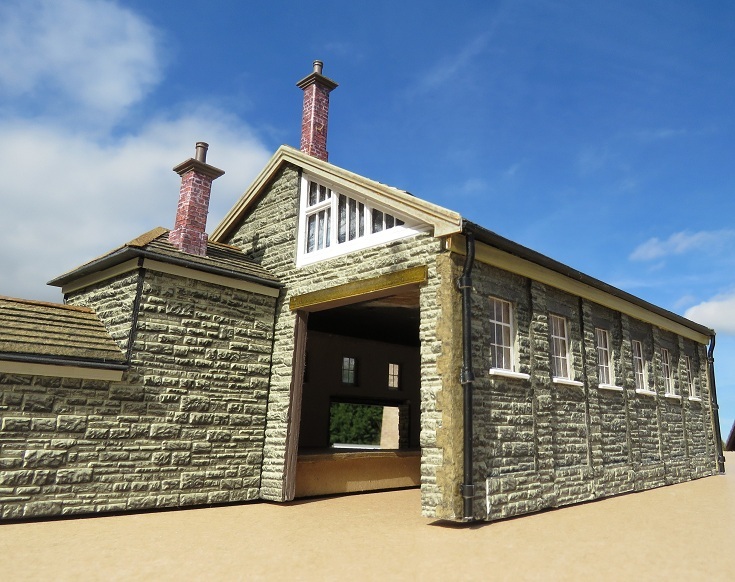 However, the goods shed, as you say Allan was massive - too massive for the layout. Nigel built a shed from somewhere else. Time for a chicken dance. Went to your link John. 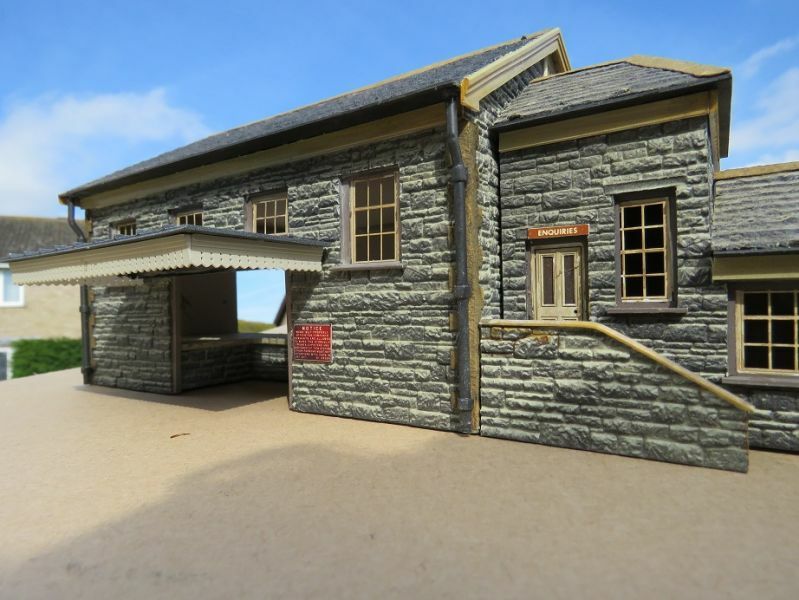 Excellent modelling from you as expected, dripping with atmosphere and you can tell Nigel he got Sarsden Halt and Lambourne goods shed spot on. Flawless. BTW, the gap is dead to scale ! Thanks Allan. Not all my work of course but I always thought it looked very good. Also a pleasure to operate. Up to your usual stratospheric standard, Allan. 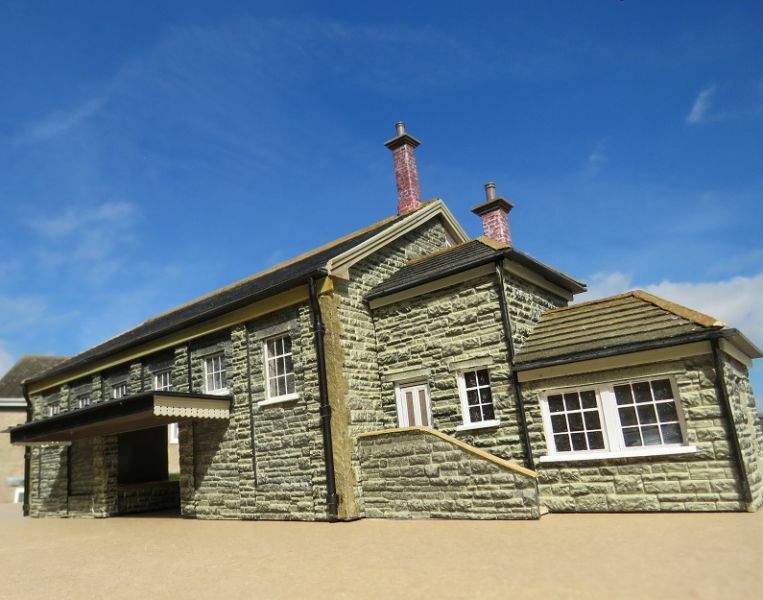 Looks better in stone than than Staffordshire blue brick. Nice job on that big window. How did you attach the awning? allan downes wrote: Went to your link John. 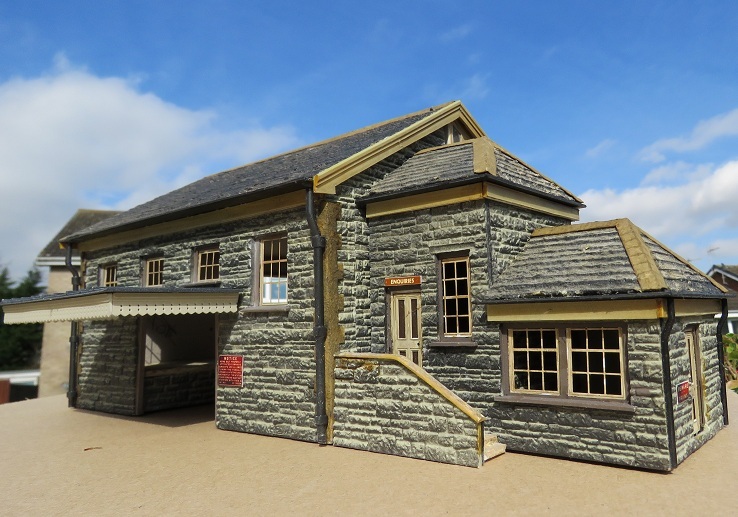 Excellent modelling from you as expected, dripping with atmosphere and you can tell Nigel he got Sarsden Halt and Lambourne goods shed spot on. Flawless. Thanks. Both are exactly to scale (even down to the curve on Sarsden's sleeper platform and the cobwebs in the goods shed windows). I did do Sarsden in N a few years ago. A lot of faith and a little superglue ! Provision was made above the loading door aperture to glue in a wall plate flush to the card wall backing then the canopy was glued to this and guaranteed not to fall off . 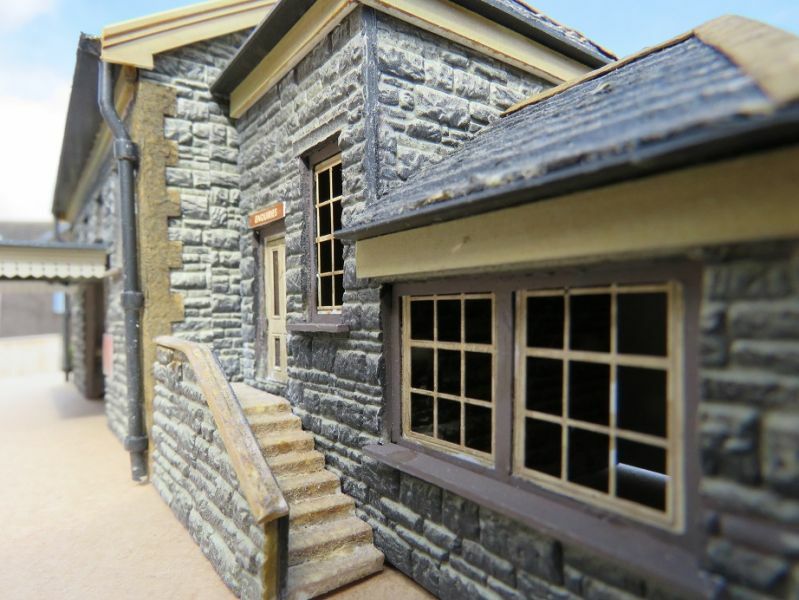 In O Gauge I nail it on ! Best of Luck from South Wales U.K. Superb modelling as usual Allan.